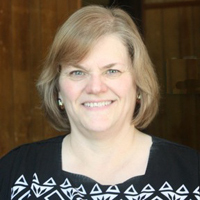 Karen Engebretson, a Kansas City native, holds a Master of Music degree in Organ Performance and has spent over 40 years as a director of music, organist, pianist, vocalist and accompanist in churches and venues in the greater Kansas City area. She has taught general music and choral music in schools from elementary through college level. She maintains piano and voice studios in both Kansas City and Leavenworth and promotes musicians through a community concert series program in Leavenworth.